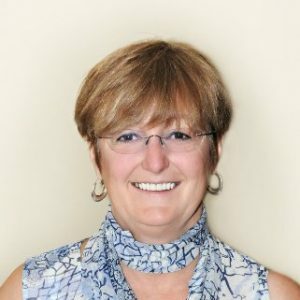 Ms. Christiane Menard is retiring from her position as the Executive Director of Canadian Society of Respiratory Therapists, after almost a decade of service (9 years). As a thank you for her contributions to the respiratory therapy field, this blog post is dedicated to her. The first time I met Christiane was at the 2016 Ottawa Conference. Even as a relatively new respiratory therapist and a novice blogger, I was greeted with a big smile and a hug. She is full of energy, passionate and is very driven. From a quick glance at her career accomplishments you can see that Christiane’s dedication to excellence is evident. Besides the position of Executive Director of CSRT, she held other positions such as the Communications Coordinator for Merck, Director with Society of Obstetricians and Gynecologists of Canada (overseeing Communications, Government Relations and Partnerships), and Director of Communications for the Canadian Association of Medical Radiation Technologists. In 2017, she was the Honorary Lifetime Membership Recipient from CSRT. When I think of Christiane, I think of a true visionary. She took on the role as Executive Director for the Canadian Society of Respiratory Therapists during a time when things were quite unstable. Our profession was going through an identity transformation; our membership numbers were steadily dropping, our impact within the RT community was dwindling, and our image as a national organization was blurry at best. During her time as ED, we have witnessed numerous success stories emerge; from the Blueprint for Action for our profession in 2014, to our role in private practice, to the Anesthesia Assistant certification process, the CSRT is now a nationally recognized leader in the realm of professional association. Not only have we seen our student memberships double, but we are also proud to say that we have well over 4,000 members in our association. It has been through her tireless commitment and dedication for our profession that has placed us in such a positive situation for the years to come. Thank you, Christiane. I will share with you the brief conversation I had with Chriastiane. Looking back over the years as the Executive Director, what are some of the memorable moments that come to your mind that you can share with us?I have so many memorable moments and in each of these moments, it is the passion of the RT profession that was front and center. Whenever I went to provincial meetings, I always tried to find out about RTs and to learn more about what they did and the projects in their region. The most memorable moment was in 2014, I was in Vancouver for several meetings and on my way to the airport I accepted an invitation to visit the PROP program in Vancouver. A young and most passionate RT named Esther Khor gave me the grand tour of her organization and it was the most amazing set up I have ever seen. It was the first time, after working 40 years in the health care sector, that I saw an organization actually put in place a truly effective “patient centered approach” to care. I immediately invited her and her patients to speak at the 2015 conference and I feel this was one of the most memorable presentation at a CSRT conference. How has the RT field changed from your point of view?I see a profession that has gained a lot of confidence in their knowledge and clinical skills. More and more RTs are working in less traditional roles like research, quality assurance, patient transport. I am very proud of all the RTs who continue their education and keep building on their RT skills and knowledge. Nine years ago, critical care was the most important area of practice. Now we see more and more RTs working in community and home care. Many RTs have entered a growing area of the health care that is most important – patient safety. The profession constantly shows its versatility and ability to adapt to the changes required in the health care sector. I have no doubt that RTs will continue to look for new applications of their skills and knowledge than any other profession. What is next for you?I am retiring from being an Executive Director, but I love working. I just feel I am no longer able to work at the Executive Director level and knew it was time to take a step back. I plan to stay at CSRT in a lesser capacity for a number of months to support the transition of the new CEO. I will then find some part-time work where I can still use my knowledge and skills. As I will no longer travel for meetings, I look forward to attending more cultural events in Ottawa and going to the pool and gym more often. What were some of the goals you set for yourself when you began as Executive Director and do you think you accomplished them?I had many objectives when I started – increase the CSRT membership, increase the number of participants at the CSRT conference, increase the income from sponsorship – and then I soon realized that none of these objectives could be achieved if we were not able to show the value of CSRT to our members and to our industry partners. So I think we have achieved those objectives by showing value. The most difficult objective to achieve had to do with the financial viability of the CSRT. When I started in August 2009 we had absolutely no money in the bank … no money for rent, no money for payroll. That was so overwhelming and I struggled with this for many years. It took nine years, and inch by inch, we increased our financial stability. This year is the first year that I feel we are on solid financial ground and that we do not have to borrow on the line of credit or on next year`s income to meet our financial commitments. What are some words of advice for people in the industry who want to get more involved?Find something that is missing, something where you can make a difference, something that can be done better, and just do it! If I look back at who has done just that I think of Jason Nickerson, who got involved in international health, not because of the money, but because there was a need and he knew he could make a difference. Tom Piraino is another RT who saw a void in RT education with regards to the clinical applications of ventilation and he got involved in increasing knowledge and understanding in his institution, at the provincial level, at the national level and at the international level. It just takes effort, constant effort, and you can achieve everything by doing an inch at a time, one step at a time. The secret is to not get discouraged by hurdles … anyone can build a mountain one spoonful at a time! What are some of the challenges you see in the future for RT’s and how can we as practicing RT’s prepare for those challenges? The biggest challenge for the RT profession is keeping up with the complexity of the health care sector. As the health care sector always seems to be in transition, the RT profession will also continue to be in a transition and there is no way to go but forward and learn more complex clinical applications. I do feel that the RT profession has been very quick to adapt to changes that have occurred in the past and I have no doubt that RTs will continue to increase their knowledge and clinical skills. RTs will surpass any challenge and will move forward where they are most needed and where they can make the most difference in the respiratory care of their patients. My final thoughts ….I am so grateful that my last full time job was with the CSRT and that I had the privilege to have the trust and support of the RT profession who so generously shared their passion with me. I can brag that my last job, after working in the health care sector for over 45 years, was the best ever! Not many people brag about their job when they retire, but I do ! I want to thank Christiane for her dedication to our industry and for taking the time to speak with me. -Thank you to Carolyn McCoy and Jeff Dionne for taking the time to help me with this article.